Most media streaming devices such as Apple TV, Roku, and internet TVs do not support enterprise encryption. For these devices, students will have to acquire the MAC address and register the device on start.rit.edu and connect to the wireless network "RIT-Legacy". Students can stop by our office with the device for assistance finding the MAC Address. Connect your device to the wireless network "RIT-Legacy". Find the MAC address for your device (You may have to look online to find this information as the location varies on different devices). Preform a Manual Registration on start.rit.edu. Restart your device and reconnect to the wireless network "RIT-Legacy". The Apple HomePod cannot be initially configured on the RIT network. This is due to it not being possible currently to obtain the MAC address of the HomePod through any means in the user interface. Additionally, while the HomePod can be registered on the RIT nework if its MAC address is already known, we do not advise this as the HomePod does not support password security for audio streaming, which would allow other people on the RIT network to control your personal HomePod. For these reasons, the Apple HomePod is currently unsupported on the RIT network. Google's Chromecast will not work on the RIT network due to the configuration needing to be preformed on a different device on the same subnet as the Chromecast device. RIT's wireless subnets are virutalized regardless of which access point you are connected to. In order to connect an Apple TV it must be connected to the unsecured "RIT-Legacy" wireless network after being registered on our website. This is due to the Apple TV's inability to negotiate the wpa2 encryption on our secure network. We highly suggest setting an access/remote password on your Apple TV since others will be able to control the TV without it being set. The MAC address for the wireless will be next to 'Wi-Fi Address" and for the Ethernet it will be next to "Ethernet Address." Most media streaming devices are not designed to work on an enterprise network. Students may have issues with sharing media from a Wired/Wireless device to a Wireless device due to the subnet design of RIT's Network. Students can setup a local network using a wired router (Wireless must be disabled) to stream content from a computer. 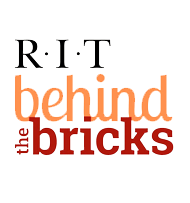 RIT originally adopted the Code of Conduct for Computer and Network use back in 1998. Each person who uses computers or network resources at RIT is required to adhere to this code. The code in it's entirety can be found here. What do you think about File Sharing? The University of Richmond Law School produced this short video regarding file sharing and intellectual property. This may just change the way you think of file sharing and downloading. It's worth a look. Click here for the video.